At Sorbonne Language School, we provide private lessons for teenagers over the age of 16. Teenagers 16 and over are welcome to join our group Adult French classes or to take private lessons at our school or at your location. We encourage oral communication at all times and ensure that our classes are fun, dynamic and challenging in order to instill in our students an enthusiasm for French. We use exercises, textbooks, vocabulary study, games, problem solving activities, role-plays and listening exercises in a challenging and entertaining way to familiarize your teenager with French and improve their speaking, writing and comprehension skills. Our teachers are all native speakers and highly experienced. They speak the international French that we use in organizations such as the UN. They are all completely bilingual and therefore will be able to help your teen to clearly overcome the challenges of comprehension. Whether your child is struggling with French at school or with French Immersion or plans to take French Immersion next year, our private classes are a great way of boosting your child’s confidence and abilities in French. Our team of bilingual French/English tutors give dynamic and interesting French lessons to High School students. We prepare students for various exams like the Provincial exam, the SAT and the DELF-DALF. Our teachers are all native French speakers from France and Canada with many years of experience teaching children and teenagers. Our French lessons are professional and challenging and can give your children a real advantage in their studies and future professional life. **The above rate is applicable to lessons in Vancouver. An extra fee of $4 – $12 per hour may apply to lessons in Burnaby, Richmond, North Vancouver, UBC. We may not be able to provide French lessons outside Vancouver. Material: There is an additional flat fee of $16+HST which is invoiced at the beginning of any French Course and which covers the cost of all materials for 6 months. Should other specific materials, such as specific books be needed, they will be invoiced separately. If you want to follow Sorbonne Language School curriculum, you must purchase our textbook and exercise at a cost of $29.99. We also offer intensive French courses of between 15 and 30 hours a week. – Our teachers are qualified, skilled and completely bilingual in French and English. – We use a wide range of pedagogical techniques to make our lessons fun, dynamic, challenging and inspiring. – We strive to keep class our classes small, with between seven and ten students per class so that our student’s get the individual attention they need. 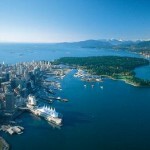 – Our location is convenient, in Kitsilano, on West Broadway and Cypress. – Customer service is extremely important to us, and we want parents to be able to communicate freely with us on any topic at any time. Perhaps you or your teen has recently joined French Immersion and needs some extra help. Maybe you or your teen is preparing for high school exams, the French Provincial exam, SAT’s or University entrance exams. Whatever the objectives, we are dedicated to making your language-learning experience challenging, fulfilling and enjoyable. We use textbooks tailored to your needs, as well as using videos, listening exercises, role-plays, vocabulary study, reading comprehension and study of French for everyday situations. Suite 200, 1892 West Broadway, near Burrard/W Broadway.